The June 11 meeting of the Peralta Colleges Board of Trustees featured the swearing-in of 2 newly elected Student Trustees. Next, the Board recognized Dr. Jacob Ng for his 24 years of service to the District. Following that, the Board was presented with the tentative 2013-2014 budget by Vice Chancellor Gerhard. 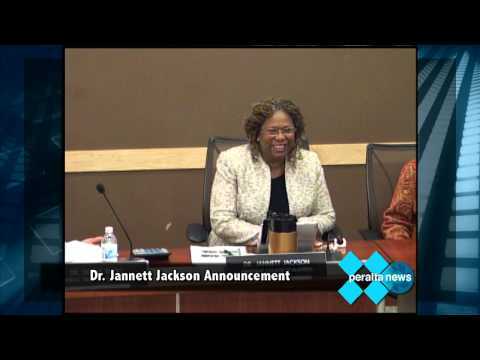 And finally, College of Alameda President, Dr. Jannette Jackson, made the announcement that she will be leaving to become the new Chancellor for Chabot-Las Positas College District. The annual California Higher Education Sustainability Conference was held on the UC Davis campus this year, from June 18 to June 22, and the Peralta Community College District was well represented. The Conference is a unique opportunity for educators to network and exchange ideas on sustainability. In addition to participants from The Peralta Colleges, representatives from universities such as UC Berkeley, Stanford, UC Riverside and UC Santa Barbara, were also in attendance. Activities included a pre-Conference Sustainability Officers workshop, field trips, exhibitors and breakout panels. For example, Lutron Electronics and the California Public Interest Energy Research Program presented a case study on energy savings, resulting from the installation of integrated classroom lighting controls on the Laney College campus. The projected annual savings to the college from the project is estimated to be $25,000. The cost of the project materials was $64,000, and installation was $38,000, for a total of $102,000; costs were paid through the Oakland Shines Program. Peralta was represented by Dr. Jannett Jackson, College of Alameda President, and Charles Neal, the Energy and Environmental Sustainability Manager for the District. They were joined by Mary Ann McNamara, who is a community partner, as well as an alumnus of the Merritt College horticulture program and recent graduate of the Regenerative Design Institute (RDI), located in Bolinas, California. Charles Neal co-facilitated a workshop for sustainability officers that discussed using sustainability projects as a living lab for technical education students. Dr. Jackson and MaryAnn were co-presenters in the category: Campus-Community Partnership for Sustainability. “I am extremely pleased to have represented the District at this year’s Conference,” said Charles Neal. “Learning what systems and processes work and which ones don’t is valuable information, as all of us grapple with how best to allocate shrinking budgets. There were a number of innovative systems discussed that could help us further our sustainability programs, here at Peralta,” added Neal. On a related sustainability note, Aurora Mahassine, Founder of Habitile, an outfit that designs living wall systems, introduced Mary Ann McNamara and three of her RDI classmates to Charles Neal, who then encouraged the students to present their permaculture designs to Dr. Jackson and the COA Leadership Council. The presentation was in response to Dr. Jackson’s previously expressed desire for a reflection area to be created on campus for students to enjoy during the replacement of Buildings C&D. The collaboration resulted in Mary Ann and her classmates contributing a pro bono permaculture design that should fulfill Dr. Jackson’s wishes for a reflection area on COA campus. Incidentally, a permaculture design is required capstone project for RDI students, who are pursuing the year-long permaculture design certificate. In this case, the students will gain experiential benefit from their active involvement in the actual project installation! Lastly, the campus-community partnership is further emphasized by a $20,000 grant, provided by StopWaste.org. COA intends to fund the permaculture installation with this grant. The grant is in support of the College of Alameda’s Bay-Friendly installation, the first phase of which is located near the intersection of Willie Stargell Avenue and East Campus Drive. Obtaining grants to fund sustainability projects is a great way for COA and the District to stretch their resources. The initial Bay-Friendly installation, from which the StopWaste.org grant flowed, was led by Gates & Associates Landscape Architecture of San Ramon. 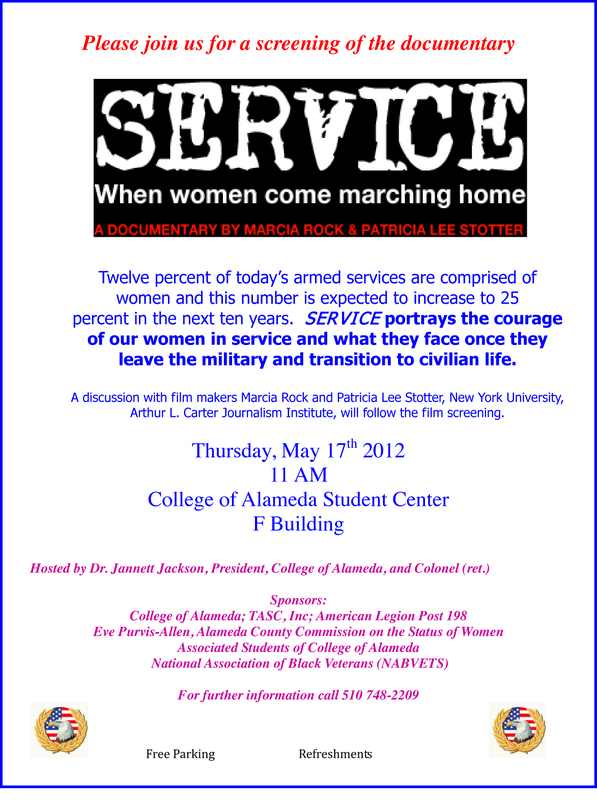 The grant was administered by Cynthia Greenberg, of The Planning Center in Berkeley. College of Alameda has been selected as one of 15 colleges in the nation to participate in a National Endowment of Humanities grant, Thinking through Cultural Diversity: Bridging Cultural Differences in Asian Traditions. The three-year project will involve “fifteen community colleges organized in five geographic clusters, and will place different understandings of culture and plurality in dialogue with the aim of deepening engagement with issues of cultural interaction, civility, and diversity in a global context. 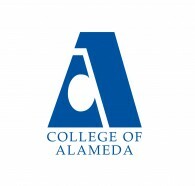 College of Alameda will work in a geographic cluster with City College of San Francisco and Mission College. The project will focus on Southeast Asia, specifically Vietnam, Cambodia and Laos. The project is organized around a progressive series of activities beginning in Summer 2012 with an 8-day summer symposium hosted at the East-West Center in Honolulu. 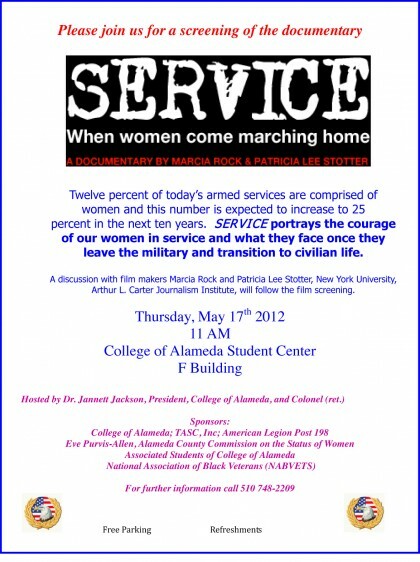 For more information, please contact Dr Kerry Compton, Vice President of Student Services, at kcompton@peralta.edu or 510-748-2204 or President Jannett Jackson at 510-748-2273 or jjackson@peralta.edu. December 16, 2011. Numerous cohorts graduated the ATLAS program this week. President Jackson offers motivational words and graduate Pamela Gernan shares her employment success. For more information about this federally funded, community partnership, workforce development program, please click here. With a 600% growth in enrollment in its second year, the Violence Prevention Certificate Program at College of Alameda held a successful Community Stakeholder meeting. College of Alameda President Dr. Jannett Jackson, Students and Teachers share their experiences with this ground-breaking program, building capacity within our local violence prevention community. The Board of Trustees of the Peralta Community College District selected Dr. Jannet N. Jackson as president of College Alameda at its regular meeting last night. Dr. Jackson, who is currently Interim President at the college, will begin her three-year contract as President starting July 1, 2011.